Roof Repair | Ray's Harford Home Improvement Contractors Inc. If this is the first time you’ve put a new roof on your home, you may not know how many layers your roof already has. If the roofer finds more than one layer upon inspection, then your home will probably require a complete tear off and a new roof. Local building codes determine the number of layers allowed, and the roofer has to comply with them. If your local codes only allow two layers of roofing, then reroofing is a possible option only when your roof has just one layer of shingles. Applying a new layer of roofing is a suitable option for lightweight roofing materials. You can probably add a second layer of shingles over old shingles or you can add a metal roof over old shingles without creating problems with too much weight on the roof. 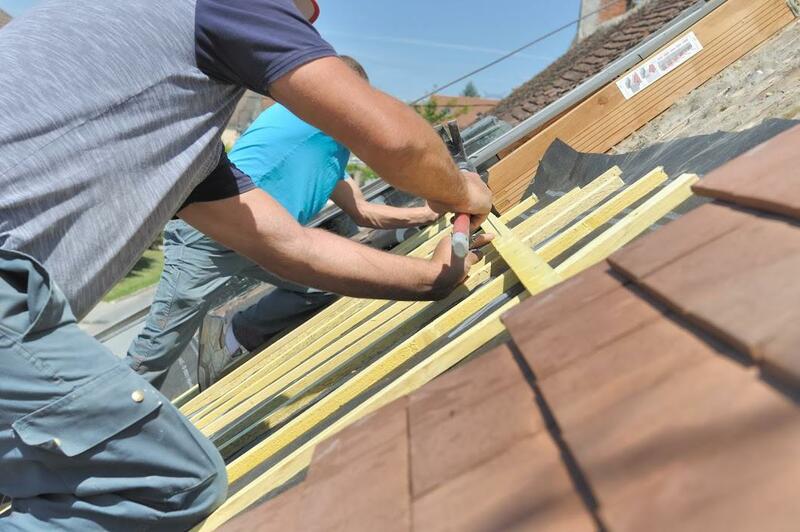 The roofer considers the combined weight of your old roof with the weight of your new roofing materials to determine if having a new layer put on is a good idea. The roofer also factors in the added weight of snow and ice in the winter when deciding to tear off the old roof or cover it. Your old roof should be in fairly good shape to get the best results from adding a new layer of roofing on top. You don’t want to cover up damage, so make sure the deck and materials under the old shingles are still in good shape. If your attic is leaking, then the deck might have water damage or mold. One advantage of tearing off an old roof down to the deck is that damage is easy to find and repair so the deck is dry and stable when new roofing is put on. In addition, the old shingles on your roof should still be in decent shape since curling and damage might make applying a new layer on top of the old more difficult. The advantage of avoiding a tear off is that you’ll save money. If the old roofing material isn’t torn off and hauled away, you’ll save money on labor and dump fees. When your budget is tight, the best option for you may be to have a new roof put on over your old one. Plus, the work will go quicker too. However, your roof is meant to protect your home for years to come so saving money shouldn’t be the only consideration when you decide which method to choose. A quality roof is important, and that might not be possible to achieve by adding a new layer if your current roof has too much damage. Getting a new roof involves making important decisions. If you don’t understand all the logistics of how those decisions will impact your home, seek help from a trusted professional. A professional can explain the pros and cons of a tear off against the advantages and disadvantages of adding a second roofing layer. If both options are suitable, then think about your budget and if a roof overlay would affect the new roof’s longevity and your home’s future resale value. When your roof is old or damaged and it’s time to get a new roof, call Ray’s Harford Home Improvement Contractors Inc. for an estimate and quality service.